The Center for Career Education is pleased to invite you to the 2018 Spring Career Fair! The fair will include organizations from many industries including finance, consulting, consumer packaged goods, media, marketing, advertising, and more and is open to undergraduate and graduate students enrolled in the schools served by the Center for Career Education. We welcome students who are interested in internship and full-time opportunities. 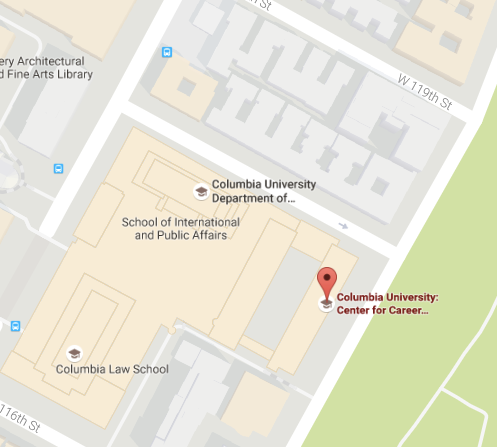 It is a unique and productive way to meet employers looking to hire students and alumni from Columbia University. For further information regarding this event, please contact Center for Career Education by sending email to careereducation@columbia.edu. School affiliation will be verified before entry. Please do not bring your backpack. In order to make it easier to navigate the room, we ask that students do not bring backpacks. Please bring your Columbia ID card. Your school affiliation will be verified before entry. Stand out to employers by asking thoughtful questions about projects or innovations at the company, happenings or trends in their industry, company culture, etc. We discourage asking questions that can be answered by looking at their websites such as job application requirements and deadlines.